I was really impressed with Air Transat. We had one of the new planes so we got to enjoy the use of seat back TVs and there was a good selection of films to choose from. The food on Air Transat was not very good so I would recommend taking some snacks with you. Also, earphones for the entertainment system are not included so is best to take your own or you can buy them on board. Soft drinks are included in the price of your flight, but you do have to pay for alcoholic drinks. Air Transat only accept credit/debit card payments on board. The Fairmont Waterfront was fantastic with really clean, nice, big rooms. We had a room with a harbour view and enjoyed the best breakfast of the trip whilst staying here. They were the most amazing pancakes. If you are planning to book a cruise from Vancouver, then this would be the best hotel to stay in, as it is opposite the cruise terminal. The hotel even has its own bees that make honey that is used in the restaurant. Aava Hotel Whistler was a nice, clean 4* hotel; just minutes away from Whistler Village and all guests get free WI-FI. The rooms are spacious and very clean and the hotel only opened last year so it all very new. They even offer complimentary bikes for two hours at a time, so you can ride to the lakes or the mountains. The Fairmont Whistler is at the bottom of Blackcomb Mountain and offers ‘ski in, ski out’ for ski season. They even have the swim in/swim out swimming pool, which is heated for the winter. I would recommend that anyone planning to stay here upgrades to a Mountain View Room as the views are just amazing and you may even see some bears! The Inn at Laurel Point in Victoria was a lovely hotel; offering great views of Victoria Harbour and the staff were extremely helpful at this hotel. The rooms sold by First Class are in the new part of the hotel and are very modern with huge balconies. Again, so that you get the full experience of staying within this stunning landscape, make sure you book a room with a harbour view. This was a 6-hour excursion. We started by visiting a rainforest and learning about the Salmon, before braving the Capilano suspension bridge, which was very high and rocked a bit. We also did the tree top walk in the rainforest and then took the sky ride to Grouse Mountain. We saw the orphan bears, the lumberjack show and also took the chair lift to the top of the mountain. It was cloudy so we didn’t get very good views, but apparently, the views of Vancouver on a good day are fantastic. You can also do Zip Wiring at the top of the mountain. 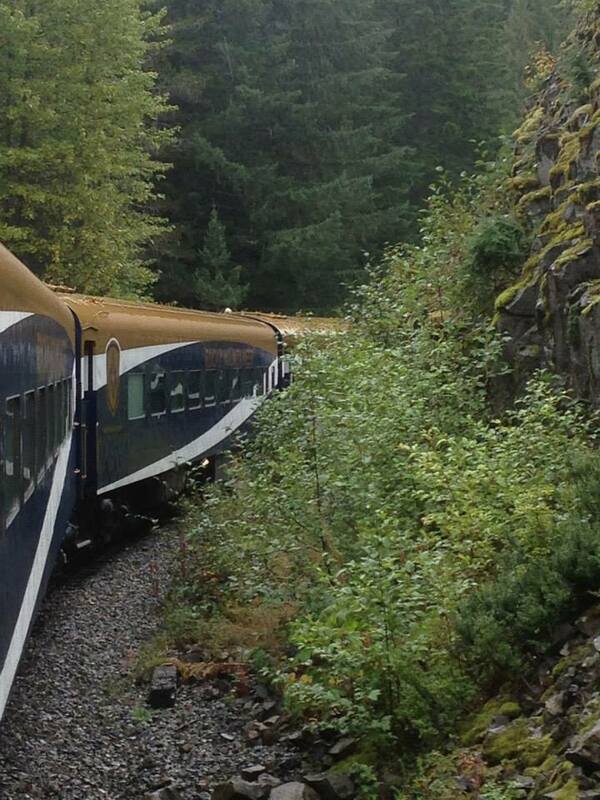 We took the Rocky Mountaineer from Vancouver to Whistler and the views on the way were fantastic. Sadly, it was raining so we didn’t get to see as much as we would have liked. We were in the Red Leaf section of the train where you get cold food included in the price. If possible, it’s best to request seats on the left as the views are much better, however, there is also a viewing cart for people to go out and look at the scenery. We did go and have a look at Gold leaf and I would fully recommend it as the dome-shaped roof is amazing and you also get hot food and unlimited drinks; including alcohol. We took the Gondola from the top of Whistler Mountain to the top of Blackcomb Mountain. Ahhhhhh, it was very high not so good if you don’t like heights, but the views were amazing and we also saw a wild bear in the mountain from the Gondola. The journey takes 11 minutes from one peak to the other. This is the must do activity whilst you are in Whistler! We did five Zip Treks in the rainforest of Whistler Mountain, over the Fitzsimmons Creek, but be aware as some of the wires are very high! If you want to relax after all the activities in Whistler, you can go to the baths and take it easy for the afternoon. There are steam rooms, saunas, hot baths, cold pools, solariums and fire pits to help you sooth those aching muscles. We did a Zodiac boat whale watching trip which was such an amazing experience involving us all putting on full-length cruiser suits and going in the search for whales. 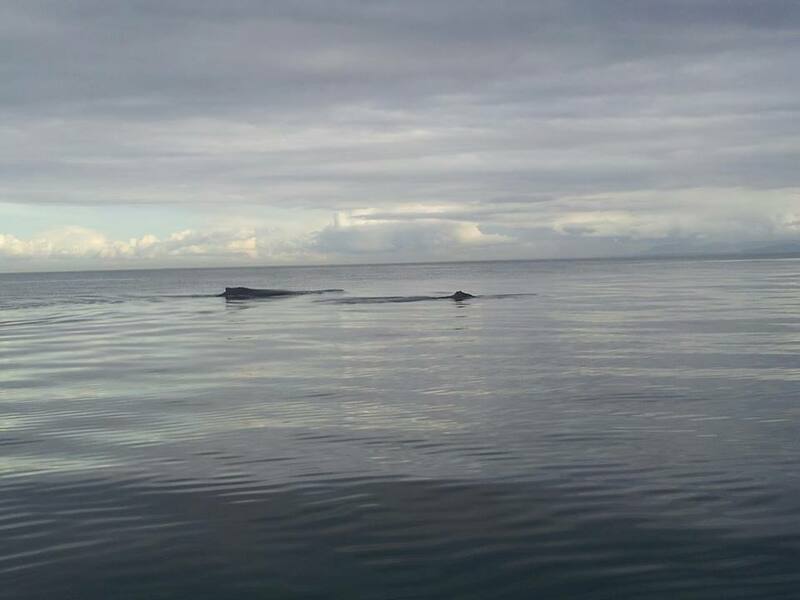 We saw orcas and humpback whales; the humpbacks were so close to the boat so it was amazing. This is a must for anyone travelling to Victoria. This was a four-hour excursion to the gardens. It was a bit long for me but if you love flowers and nature then it’s definitely worth adding it to you ‘to-do’ list. We had afternoon tea at the Fairmont Empress in Victoria and it was fantastic. The cakes and sandwiches were delicious! We did so much it is really hard to choose particular highlights. The zip wires and whale watching were definitely two of my favourite things that we got to take part in, though. 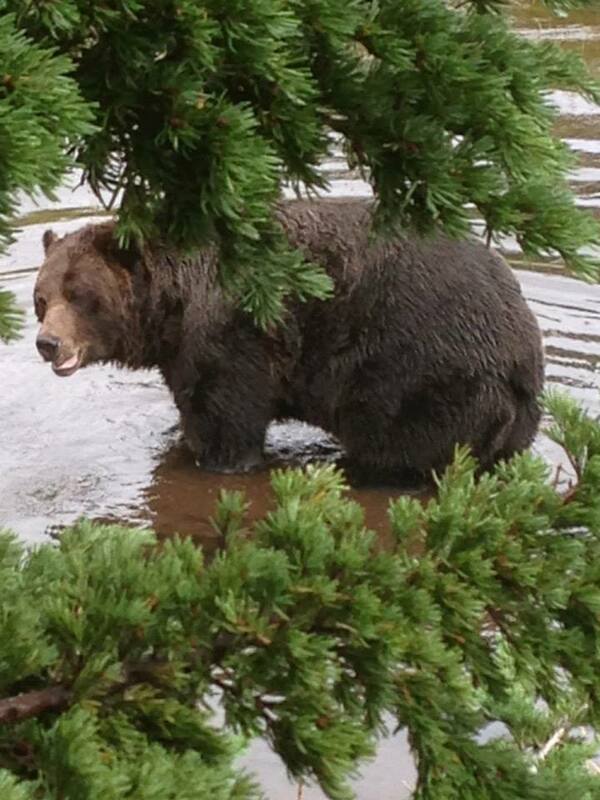 Also, it was amazing to see a wild bear. I would definitely recommend Canada to everyone as there is so much to see and do. I think Whistler is a great summer destination and is also perfect for those wanting to take advantage of the ski facilities. There are loads of activities to do; you can even do BMX biking down the mountain, canoeing, horse riding and loads of other excursions. It’s a good choice for an active family or those wanting to do something different. There is also a shorter, 4-hour Rocky Mountaineer trip, which is great for those who don’t want to spend a full day on the train. It’s definitely something that should be done in some capacity, though. Canada is the perfect place for a family holiday and also had many areas which are great for city breaks. We can help you arrange your Canadian holiday and ensure that you get the best deal that is tailor made to your travel requirements. We can also help organise your travel extras too, such as airport hotel stays, car hire and airport parking. Simply speak to one of our friendly team at your nearest travel shop or fill out one of our contact forms on the website.